Beställ dina fototapeter från kategori – Fototapet Fjärilar! Closeup beautiful butterfly & flower in the garden. Emerald Swallowtail butterfly is sitting on the flower. 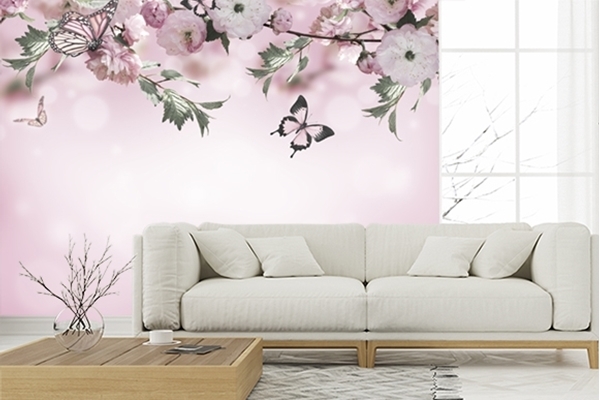 Flowers background with amazing spring sakura with butterflies. Flowers of cherries.